Team Dignitas closes out the victory and sends NiP home. Ninjas in Pyjamas and Team Dignitas played a best of 3 on day two of Gfinity 3, with the match up drawing in one of the largest crowds the CS:GO main stage had seen all weekend. NiP under-performed on Day 1, and many were left wondering if they would bounce back. The round kicked off with NiP rushing A warehouse without success, getting picked off by Dignitas who, after winning the pistol round, proceeded to dominate the next 7 rounds. Eventually, NiP managed to push through and plant the bomb, holding down the bomb site until detonation, securing their first win. However Dignitas did not dwell on this loss, instead fighting back, seamlessly winning the next 4 rounds. In round 13, NiP tried a different tactic, pulling a delayed push into Site B. They manage to successfully plant the bomb and picked off the remaining Dignitas team in quick succession. Team Dignitas picked up the next round with ease making the score 12-2. In the final round of the first half, Ninjas in Pyjamas and Dignitas started trading kills in mid map until they were both down to two. NiP strategically decided to rotate to A and successfully plant the bomb, they managed to defend until the bomb timer finishes, making the score 12-3 to Dignitas going into the second half. After the switch, Dignitas launched straight into the pistol round, clearing the oncoming NiP team and subsequently defending the bomb site from the remaining members. In the next round, Ninjas in Pyjamas invested all of their economy into armor and grenades, taking every precaution possible to help secure a win. They traded kills with Dignitas down in mid map until they only had one man left, who successfully managed a bomb plant, but was quickly picked off and the bomb was defused. NiP were on their heels as they attempted to defend on an eco, but Dignitas was not letting up, as they quickly pick off all NiP members without a loss on their side, making the the score 15-3. The game had been won by Dignitas, but NiP was still not letting up, especially in the last round. Dignitas got some quick trades in their favour as it went down to a 4 versus 2, but f0rest picked up a triple kill with the his team quickly cleaning up the round, scoring one more point for NiP. 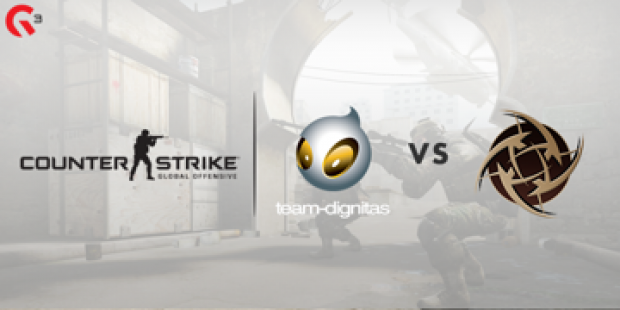 However, the victory was short-lived, as Dignitas quickly ended the first map with a score of 16-4 in their favor. 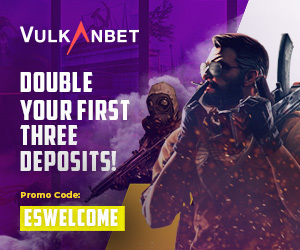 Dignitas began the game with a bang, picking up early kills and successfully gaining access on to the bomb site and then successfully planting the bomb, after easily defending the site, Dignitas are 1-0 up. It seems they carried their momentum through from map 1. Dignitas continued to surf their wave of success, quickly extending their lead to 3-0. On the 4th round, Dignitas picked up an early kill, however this time NiP retaliated, they unfortunately allowing Dignitas plant the bomb, but successfully collecting the final kills and defusing the bomb, securing their first round win on Cache. Ninjas in Pyjamas don’t want to let Dignitas win, and began to fight back successfully retaking the bomb site, after Dignitas get the bomb planted, and shut down the remaining Dignitas team and scoring a diffuse. NiP proceeded to crush Dignitas on their eco round, tying the game. The next 2 rounds were slow rounds, with both team winning a round. However, Dignitas stepped up their game, and picked up 5 rounds in quick succession, showing no signs of trouble against NiP. Ninjas in Pyjamas kick into gear with GeT_RiGhT clutching a 3 piece and a defuse to win the round. In round 15, the last round of first half, NiP got 2 early picks for one of their own in return, yet they secure the bomb site winning the round, with the half time score being 9-6. NiP started the second half with a well-executed rotation on the pistol round, which gave them enough space and time to defend the bomb and gain another win. They then crushed Dignitas’ eco twice, tying the game up 9-9. Dignitas reignited the fire picking up a clean sweep on the next round, winning them a further 2 rounds. NiP pulled one back with some well-placed defending and closing the gap between the two sides with the score being 11-10 for Team Dignitas. Dignitas successfully manage to get the next 3 rounds without much difficulty, however round 25 was awarded to NiP due to the final players of Team Dignitas saving their weapons deciding to not risk a retake on A site. NiP failed use this win to close the gap allowing Dignitas to come back fighting securing a win in the next round. They continue to extend their lead round after round without too much trouble from Ninjas in Pyjamas, a team that was once considered to be on top. On round 27 NiP fail to push either site with the time constantly running down, they left it too late and rushed on to A site with only 20 seconds to go. They need to win this round in order to stop Dignitas from knocking them out of the tournament, however Dignitas shut down NiP’s attack and take the round win ending the game 16-11. Team Dignitas take the 2 – 0 win and advanced into the Semi Finals, with NiP left to think about what went wrong and to prepare for ESL 1 Cologne.